(October 17, 2009) Welcome to a new series in which I excoriate hapless hacks for their lamentable reporting. My first victim is David McNeill, writing in the Irish Times (he also writes for the Independent in the UK, among other publications). LONG BEFORE you reach the dilapidated half-empty city hall, Yubari’s eerie silence imposes itself. Against a majestic background of pine-carpeted mountains, shuttered businesses pockmark the main street like broken teeth in a faded smile. The few pedestrians are pensioners who walk past empty shops and parking lots. In the city hall itself, the lights and heating go off at 5pm, forcing the remaining staff to work in their jackets. Once a thriving area built on coal mining, this quaint city in the northern island of Hokkaido is now emblematic of Japan’s declining countryside. When it went bankrupt two years ago with debts of nearly €400 million, the shock “rolled like an earthquake” across the country, said the Japan Times, which wondered how many more cities were hiding problems. This month, the government gave a partial answer, naming 43 localities tethering on the edge of the financial abyss. The real figure may be double that number – 5 per cent of all local authorities in Japan are in danger of going broke. “The whole of Japan is in trouble. It is quite terrifying,” said Natalia Roschina, a Hokkaido resident who wrote a book called Letter to Yubari, aimed at diagnosing and fixing the city’s problems. “Yubari is just one of many,” she says. Miki City, about 400km west of Tokyo, is the latest to signal financial trouble, announcing a large deficit and a goal of cutting about €37.5million from its budget over the next two years. Dozens of other local governments have received “preliminary warnings” from Japan’s internal affairs ministry, indicating that they must restructure or face bankruptcy, and with it the humiliating loss of local autonomy. The choices for these governments are grim. Miki has already begun swinging the axe, slashing its payroll, cutting salaries and closing local rail lines. In an attempt to save some of the money it pays to run the city’s public hospital, officials are asking patients to pay more and leave earlier. “We have to hope these measures are enough,” says city hall spokesman Yoshifumi Yamamoto. Worse may be on the way. Local governments run 973 hospitals around Japan, and some are deeply in the red. A city in Chiba prefecture, bordering Tokyo, shut its public hospital this month and sacked the entire 185 staff. In Otaki City, Hokkaido, government officials recently raided the home of a tax defaulter and confiscated what they could grab, including cash and jewellery. Yubari even had to board up its only public toilet to save money, along with the local library. With over half of Yubari’s workforce gone, local services of virtually every kind have been trimmed to the bone. As winter approaches, road clearers have been told to wait until 15cm of snow lies on the ground before going to work; the old regulation was 10cm. These problems have been brewing for years. 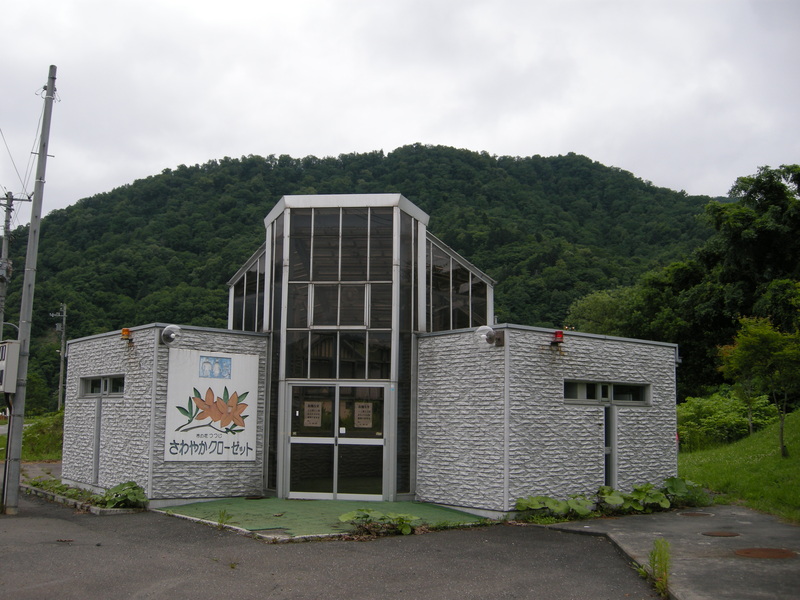 Yubari’s mines began to close in the 1980s, taking most local people with them. The population has plummeted from a high of nearly 120,000 in 1960 to just 13,000 today – imagine Cork city shrinking to the size of Carlow. During Japan’s boom years, the central government poured money into public works to make up the shortfall in tax revenues, funding ski slopes, amusement parks, a “history village” and even a robot museum in a bid to make this into a family resort. The tourists never came. Now the city, like scores of others around the country, faces a double whammy of declining central-government subsidies and an ageing population. Weighed down by the highest public debt in the OECD, Tokyo says it can no longer prop up failing local economies, which have a combined public debt of nearly $2 trillion, according to the Nikkei newspaper – roughly the GDP of Italy. Since the 1990s, the government has demanded that local areas raise more taxes, part of a long-term plan to devolve authority back to the regions. It is often easier said than done: four out of 10 residents in Yubari are aged 65 or older and their growing medical and welfare costs are being shouldered by the shrinking working population. “There is very little room to manoeuvre, but we are trying our best,” said a city spokesman. Officially “under rehabilitation”, Yubari’s budget will be carefully scrutinised by central-government bureaucrats for the next 18 years, until its debt is cleared. The city has submitted a reconstruction plan that consolidates the district’s 11 schools into four and downsizes the only public hospital into a small clinic. In effect, Yubari is now directly run by Tokyo. Avoiding this humiliation is now a priority for the rest of the country. Miki has given itself until 2014 to return to the black by focusing on reducing administration costs. The opening salvo was fired when the city cut the salaries of hundreds of public workers. Yamamoto says some services will be outsourced to private companies in a bid to save more money, but he explains that the key to rescuing the city will be raising tax revenues. “We have started to put a lot of effort into local tourism,” he says. Miki is not bereft of attractions, boasting 25 golf courses, a long tradition of brewing sake and a November hardware festival that pulls in about 160,000 people every year. It remains to be seen, however, whether tourism alone will be enough to pull the city back from the brink. Some troubled regions are trying more innovative approaches. The mayor of a rural village walked about 200km to Tokyo’s glitzy Ginza district last year in a sales pitch aimed at selling local housing plots to rich city folk. “We should change the village on our own instead of expecting help from the government,” explained a tired Hideo Kobayashi afterwards. Others are merging: Takayama in rural Gifu prefecture recently became Japan’s largest city in terms of area following the consolidation of 10 local regions. The city office plans to slash its work force by a third and farm off water supply and other utilities to the private sector. As the first city to fail, however, everyone is watching Yubari to see if it can make the mother of all comebacks. One welcome sign is a small rise in what some call “sympathy tourism” to the local ski resorts by visitors who have learned about its problems on TV. And then there is the Yubari Melon, a revered – and expensive – fruit that has helped put the city on the map again. Despite selling for €70 to €140 a pop, the melon is hugely popular and now accounts for the bulk of Yubari’s agricultural income. “This is our main industry now that the mines have closed,” said Katsuhide Totsuka, manager of the local Agricultural Co-operative Association. The oddly named annual Yubari International Fantastic Film Festival, also made a comeback this year after falling victim in 2006/7 to the city’s financial collapse. One of the festival’s former patrons, director Quentin Tarantino, paid oblique tribute to the city and its difficulties by naming a chain-wielding psychopath in Kill Bill, Gogo Yubari. Can melons and movies save this picturesque city from dying? Roschina doubts it and urges officials here and across Japan to start thinking outside the box. One of her more innovative suggestions was to sell Yubari “bankruptcy seminars”. I started reading this one Saturday night, wine glass in hand, with no preconceptions and knowing nothing of the author. The first thing that made me sit up and grimace was the description of shuttered businesses in Yubari pockmarking the main street “like broken teeth in a faded smile”. The second, a sentence further on, was the description of Yubari as “quaint”. Of all the thousands of adjectives with which he could have tagged Yubari, he chose what struck me as the next-to-least likely, just above “twee”. Yubari may be many, many things, but the one thing it is not is quaint, unless quaint has somehow unobserved by me acquired some meaning antithetical to my understanding of it. Yubari is about as quaint as Detroit. Nor is it “picturesque”. Is this picturesque? Had Mr. McNeill ever set foot in Yubari, I began to wonder. The third, more important cause for pause was the reference to officials raiding the home of a tax defaulter in “Otaki City, Hokkaido”. Strange, I thought, I don’t recall there being an Otaki city on Hokkaido, and I thought I knew my Hokkaido cities pretty well. I had a look down the list: there are 35 Hokkaido cities but none are called Otaki; perhaps the author meant Otaru? Or Takikawa? Or both? Could he have meant a town or village? There was until not long ago a village called Otaki on Hokkaido, but it merged with Date City on April 1, 2005. There was long ago a village called Otaki on the island of Etorofu, but that would have had its name changed after the Soviet occupation at the end of WWII. There’s an Otaki village in Nagano prefecture, which is very nearly bankrupt due to a disastrous dalliance with ski resort investment. Perhaps it was this Otaki? I was beginning to suspect that nothing in the article that I didn’t know already could be trusted, suspicions that grew with the very next sentence: “Yubari even had to board up its only public toilet to save money”. I became something of a connoisseur of Yubari’s toilets during the course of my brief summer stay. This impressive lavatory near the Coal History Museum was still open. This one in the hills east just of the museum was still open too. Perhaps these don’t technically qualify as “public”, as they may both be run by the museum rather than the municipality. My next loo was a shoo-in, surely. The “church” behind the sculpture is actually a restroom. (Isn’t that sacrilegious?) This bog, in the hills some way west of the museum, was still open, the sculpture garden having only been completed in 2007, as I recall. (I would have taken more notes and photos at the time had I ever imagined that the issue of how many public toilets Yubari has would one day be a bone of contention). I would guess that there might have been half a dozen functioning public lavs in Yubari when I was there. So to reconcile Mr. McNeill’s statement with my experience, you would have to believe that debt-crushed Yubari had been vigorously reopening its closets between the October 27, 2008, dateline on the article and my early July 2009 visit. Or you could choose to believe that his statement was unfounded. The Japanese Wikipedia article on Yubari makes reference to initial intentions under the fiscal rebuilding plan to close seven public toilets running into opposition from the public that resulted in two being saved, at Shimizusawa and Nunosawa, which does not quite accord with my experience. But at any rate, in asserting that Yubari never lost its last benjo, the Wikipedia author is, like me, at variance with Mr. McNeill. I decided to go through this roughly 1,200-word article line-by-line for some fact- and spin-checking. Let’s start with Yubari. Most of the facts Mr. McNeill copied from the referenced Japan Times piece, which is here. Note that it was already 18 months old when Mr. McNeill wrote the article above. When the Japan Times journalist, Kanako Takahara, states indirectly that Yubari’s population is 13,000 by writing “Sato is just one of Yubari’s 13,000 citizens…” she is using the official census data from 2005, which put Yubari’s population at 13,001. Mr. McNeill is writing some three years after the census, when the population was already below 12,000 due to outflows caused by the stringencies of the restructuring plan. Still, what’s less than 10% between friends? There is one grotesque inaccuracy in the Japan Times article Mr. McNeill is happy to regurgitate without checking: Yubari’s coal mines did not start to shut down in the 1980s. They started shutting down in the early 1960s, which is why the population peaked as early as 1960. Here’s a list of the more important pre-1980 colliery closures, sourced from Yubari: Anokoro no Tanto (Yubari: The Capital of Coal in its Heyday). With the closure of that last mine, coalmining in Yubari itself (let’s call it Upper Yubari), historically the demographic and spiritual heart of a city that sprawls over more than 750 square kilometers, came to an end. Yubari was already turning itself into a museum by 1978, when the epicenter of the mining activity in Upper Yubari was razed and construction work started on the Coal History Museum, which opened in 1980. To state that Yubari’s prized melons sell for “€70 to €140 a pop” is massively misleading. There are five grades of Yubari melon for sale outside of Hokkaido; I have taken the 2009 prices below from this website, which I believe is representative. I doubt that 2009 prices were significantly different from 2008. For the euro cost, I have used the mid-market exchange rate on October 27, 2008, Y116/euro. The price ranges result principally from melon weights and the number bought—buying in bulk is cheaper. All yen and euro figures have been rounded slightly. There are also melons reserved for sale only on Hokkaido, which I believe retail for approximately Y800-Y1,500 (€7-€13). At the other end of the scale, the Sapporo department stores vie at auction to acquire the first melons harvested, and the price they fetch is keenly watched as a barometer of the state of the economy: in the happier days of 2007, a pair sold for an eye-popping Y2,000,000 (€17,000 or so). But the vast majority of the market is at a far lower price point than Mr. McNeill asserts; I am absolutely certain the bulk of Yubari’s melons sell for less than €25. The Yubari International Fantastic Film Festival, Mr. McNeill writes, “made a comeback this year after falling victim in 2006/7 to the city’s financial collapse”. This to me suggests that the festival, which is held in February or March, was cancelled in both 2006 and 2007, whereas only the 2007 festival was cancelled. Otherwise I have only two minor quibbles with the two sentences on the festival: it strikes me as odd to describe Quentin Tarantino as a “ former patron” of the festival, as if he acted as a figurehead for it (which he didn’t), rather than the occasional attendee and guest that he was, and it would be more precise to say that Gogo Yubari appears in Kill Bill Vol. 1 (she is dead by Vol. 2), but when we are dealing with such monumental levels of inaccuracy, these are cavils. Then there is the plain misleading and highly dubious rather than downright wrong. This refers to half of Yubari City Hall’s employees having resigned or been dismissed, which is true, but reads as though it refers to half of the working-age population having left the city. Depending on what time frame you choose, the latter would be either accurate or a gross underestimate. As far as I understand—and I admit that I’m not an expert on local government financing in Japan—neither Yubari nor any other local authority routinely receives “subsidies” from the central government, unless you perversely count the central government tax allocation (chiho kofuzei), which goes to all local authorities, as a subsidy. If we count this as a subsidy, then the sentence is far adrift from reality in a completely different way: ALL cities in Japan face declines in the central government tax allocation, at least on a per capita basis, because of the way it is calculated (32% of income tax, for example, goes to local authorities, and income tax receipts are falling due declining incomes), and ALL cities in Japan face the problem of an ageing population—I’m willing to take a hefty wager that not a single one of them is experiencing the baby boom of gargantuan proportions or the sudden and escalating influx of the young that would be necessary to avert it, although naturally ageing is a more acute issue in decaying one-time coalmining towns such as Yubari. “During Japan’s boom years, the central government poured money into public works to make up the shortfall in tax revenues, funding ski slopes, amusement parks, a “history village” and even a robot museum in a bid to make this into a family resort. The tourists never came. This is, I believe, nothing short of a monumental distortion of how the tourism facilities were funded. Yubari’s bid to turn itself into a tourist honeypot was spearheaded by the mayor of the city from 1979 to 2003, Tetsuji Nakada, who is best known for proclaiming that “unless we invest beyond our means, we’ll never revive Yubari”, and although I do not have the documentary proof, I’m sure the projects were largely financed by the issuance of municipal bonds, the burden of which is why Yubari ultimately went bankrupt. The ski slopes—and one of the two resort hotels—were bought by the municipality from private-sector enterprises, there was no government money involved in their creation. And the tourists did come, at least for the first few years in the 1980s. I’m ultimately unconvinced that Mr. McNeill ever visited Hokkaido or Yubari for the purposes of this article: his description of the physical fabric of the city is too divorced from reality or else too formulaic: “pine-carpeted mountains” is a particularly favored expression of his—he uses it here and again here . But let’s turn our attention to the rest of the piece and see if the quality improves. “This month, the government gave a partial answer, naming 43 localities tethering on the edge of the financial abyss. The real figure may be double that number – 5 per cent of all local authorities in Japan are in danger of going broke”. How did Mr. McNeill come up with the 5% figure? To answer that, we first have to find out how many local authorities there are in Japan. I’ll take the number that the Ministry of Internal Affairs and Communications (MIC) used when arriving at the “43 localities” figure, according to this (blog-copied) Mainichi Shimbun article: 1,857, which includes roughly 780 cities, 810 towns, 190 villages, the 47 prefectures, and the wards of the major cities. So for 5% to be “going broke” we would need to see around 93 municipalities on some kind of official danger list. But instead we have 43 (2.3%). To obtain the 5%, Mr. McNeill has interpolated an unsubstantiated and unsourced assertion that the “real figure may be double that number”. Notice, too, the none-too-subtle segue from the conditional “may” in the first half of the sentence to the emphatic “are” in “are in danger of going broke”. The figure of 43 local authorities came from an assessment of the fiscal positions of local authorities conducted by the MIC and released on September 30, 2008. The assessment was conducted in the transition from one law on regional finance, 地方財政再建促進特別措置法 (I’ll spare you the translation) to one with notably tougher watch-list and bankruptcy criteria, 地方公共団体の財政の健全化に関する法律, which came into force on April 1, 2009. I have no doubt that the list of 43 was drawn up in the transitional phase by the MIC out of genuine concern but also with the political intent of scaring municipalities into getting their fiscal houses in order to the best of their abilities before the arrival of the new law on the statute books. On October 2, 2009, the MIC released under the new law a new list of municipalities that were categorized as being in urgent need of fiscal rebuilding and which are now required to draw up action plans that must be submitted to the ministry by end-March 2010. The number of local authorities on the list has shrunk to 21, however, and of the four possible reasons for inclusion, many are there only for one, an overdependence on municipal bonds. So far from 5% of local authorities “going broke”, we are now down to 1.1% classified as vulnerable to fiscal extinction. Mr. McNeill could not be expected to foresee these developments, but he might have been alert to the politicking that was taking place and has absolutely no excuse for inflating 2.3% to 5%. Moving on to specific examples of other troubled local authorities, Mr. McNeill first cites Miki, just outside Kobe. Miki did indeed issue a “fiscal crisis proclamation” (zaisei kiki sengen) on September 29, 2008. The plan is to cut Y4bn from the budget, which at Y116/euro I make €34.5mn not €37.5mn, but Mr. McNeill is in the right ballpark. However, the documents on the city’s own website are explicit that these cuts are to be made over five years, not two; hence the subsequent reference to “Miki has given itself until 2014 to return to the black”, although the revised budget plan does not anticipate that the general account will be in the black even in 2014. Having a ghoulish interest in railway line closures, I knew before I read the article about the Miki line, which ran for all of 6.6km between Miki and the neighboring city of Kakogawa and which closed on April 1, 2008. There’s only one other line running through Miki, the Ao line, which would not be in the city’s power to close, as it is run by the exchange-listed Kobe Electric Railway, and I can find no trace of any other line in Miki having been closed in recent times. So this sentence should read “and closing a local rail line”—although really it shouldn’t be there at all, as the decision to close the Miki line was taken in March 2007, long before the fiscal crisis proclamation in September 2008, and the closure was not, as Mr. McNeill insinuates, the result of the proclamation. I feared this was going to tough to track down but it wasn’t. Hideo Kobayashi, mayor of Izumizaki in Fukushima prefecture, who passed away about a month ago, did indeed make the walk, and repeated it in 2008. His problem was the Tennodai New Town, the land for which the village developed in the early 1990s at the cost of around $20mn, with the crackpot goal then and now apparently to attract Tokyo commuters, despite the more than two-hour commute. The plots of land themselves are realtively inexpensive, though, so why does Mr. McNeill feel the need to refer to “rich city folk”? If it appealed to anyone, the Tennoudai development would appeal to hard-pressed salarymen with school-age children looking to build a house on the cheap and spend the weekend in a more relaxed environment. “Takayama in rural Gifu prefecture recently became Japan’s largest city in terms of area following the consolidation of 10 local regions. The city office plans to slash its work force by a third and farm off water supply and other utilities to the private sector. The dissimulation here is chiefly temporal: Takayama became Japan’s largest city by area on February 1, 2005, three and a half years before the article was written, but Mr. McNeill feels obliged to give the tale added urgency with his “recently”. It’s akin to writing in late 2008 about another event that occurred on February 1, 2005: “Pope John Paul II was recently hospitalized with influenza”. The city plans to which he refers were already far advanced by the time of writing; I don’t have absolutely reliable numbers but my educated guess from the Takayama city website and other sources is that the workforce had already been cut by 20% by the time Mr. Mc Neill wrote; the water supply had already been privatized. Mr. McNeill loses his last crumbs of credibility by giving extensive space to Natalia Roschina, who I have had marked down as a fraud since I first encountered her here. Nothing she has to say in this article changes my opinion: why on earth would Yubari give bankruptcy seminars? As the one town in Japan to go bust in the last decade, isn’t it the very last place that should “teach other towns how not to go bankrupt”? Human nature is not anyway disposed to the mass self-flagellation of the sort in which Yubari would have to engage to hold bankruptcy seminars—”we were fools, hopelessly deluded fools, whatever you do don’t do what we did”. And just how much money would bankruptcy seminars actually pull in from the participants, who would presumably be from near-bankrupt municipalities? Most of all, though, it is either extraordinarily presumptuous or mind-meltingly naïve to assume that other municipalities in fiscal death-throes are not terrified of the example of Yubari and have not been studying it intensely as its crisis unfolded. Does she really think she lives in a nation of village idiots? So what are we left with? There are some facts in the article that I haven’t been able to check—local governments may indeed run 973 hospitals around Japan, I can’t track that down. There are even some facts that are accurate—the reference to the Chiba hospital that sacked its 185 staff is correct, although the reasons for the closure of the hospital (the Choshi Sogo Byoin) are more complex than Choshi’s fiscal woes alone, and Mr. McNeill should really have referred to its closure as having occurred last month, not “this month”, as it closed in September 2008. Aside from that, we are left with a farrago of near-plagiarism, errors both trivial and serious, distortion both lazy and mendacious, ungrounded assertions and misleading statements. The article is also riddled with the dreariest of cliché (“thinking outside the box”), tautology (“rural village”), bizarre punctuation (“The oddly named annual Yubari International Fantastic Film Festival, also made a comeback this year after falling victim in 2006/7 to the city’s financial collapse”), misspelling (“43 localities tethering on the edge of the financial abyss”) and non-sequitur—look back at the reference to “Otaki city” and try and decipher what relevance it has to, well, anything. I know it’s difficult to get anyone anywhere in the world to care about local government finance. I know it’s doubly, triply difficult to get a Western audience to care about Japanese local government. I know the Internet has knocked the cottonwool stuffing out of the traditional paid content model of the print media. I know the budgets are no longer there to support well-funded foreign desks in places as uneventful as Japan. But I still wish that a journalist had been lavished with the time and the funds—a week and maybe $2,000 would have done it—to put this article together properly, because there are great articles about Japanese debt, local and national, struggling to be born. This isn’t one of them, though. And every time the moderately informed read a weak article in the mainstream media, we grow more resolved to cancel our subscriptions or let them lapse, playing our part in the death of journalism’s vicious circle. For this reason above all others, Mr. McNeill, your article has been Spiked. I sent a link to the above to both the Irish Times and Mr. McNeill. No response from either, unsurprisingly. I noticed that I had misread Mr. McNeill’s “Yubari even had to board up its only public toilet to save money” as “Yubari even had to board up its last public toilet to save money”. So all I have to do to prove his statement wrong is to provide evidence that there was a solitary other public toilet operating in recent times. This “sawayaka closet” (refreshing closet) near Shin Yubari station had a recent closure notice on its doors. Discussion of “pine-carpeted mountains” caused some mirth among my colleagues; an astute one pointed out that at lower elevations, the evergreens were most likely to be to be cedars rather than pines. Yubari is also loved by its locals for its fall foliage, particularly its maples; pines are not noted for changing color in autumn. The backdrop to the closet above is clearly deciduous rather than evergreen. So even on the simplest of dendrological detail, Mr. McNeill is not to be trusted. Soon after the postscript above, I established contact with Mr. McNeill. You are the same person, aren’t you? Thanks for the e-mail and compliment, even if you swatted it away in the next sentence! Well, we all have our off days. As I say to anyone who writes to take issue with something I wrote, I do my best to report honestly and truthfully and if I make mistakes I try to correct them. I didn’t think that Yubari was such a bad piece of writing – why did you? Finally I have your attention. If you don’t yet know why I thought your Yubari piece was so awful, perhaps you didn’t bother reading my line-by-line dissection of it. Have another go? I would really like to know just one thing – did you visit Yubari for the purposes of the article? I’m saying no. Now I know your MO, I did enjoy today’s Japan Times piece about Japan’s “demographic tsunami”, etc. I think you have the same approach to journalism that Mike Tyson had to boxing. Sorry, I didn’t scroll down to see your commentary. And I genuinely didn’t know you were trying to contact me and certainly wasn’t running from you – where did you send your previous messages? Well, I won’t lie – it was hard to read your line-by-line dissection of the piece. I have quibbles with some of what you wrote: a couple of the mistakes are copyeditor’s and some of the information you take issue with comes from The Nikkei, which is a standard source for many foreign journalists, but you’re right of course: I didn’t visit Yubari for the piece. Believe it or not, very few publications will stump up $2000 now for a trip inside Japan. About the only one I know is The Chronicle of Higher Education. So I have to take this on the chin. Mea Culpa. I wasn’t sure what you meant by today’s JT piece but I assume you’re saying it exaggerates Japan’s demographic problem. I know I’m probably inviting more punishment here but please do enlighten. Yubari this summer when I finally made it there and I don’t like seeing its name taken in vain – not that it is completely without blame for its own demise. You’ll probably hate me for this, but Japan’s “demographic tsunami” makes it sound like there is a huge (and somehow positive) population influx coming like a tidal wave. suggest). Not at all suggesting that you’re exaggerating Japan’s demographic issues. We had that drink, and a very interesting evening it was–David is a great raconteur and had some fabulous tales to tell about the frauds, flyweights, and freaks that infest the Foreign Correspondents’ Club of Japan. As we were about to part, he asked me to take the above off the blog in return for him rewriting it to correct the most egregious errors, as a “journalist is only as good as his last article”. I reminded him that he had written it more than a year ago, and so it was not hilast article by any means, and also let slip that this blog is rarely accessed by more than a dozen people a day. We left it at that. Since then, the original Irish Times article has disappeared behind a pay-content time-wall and he has made no further requests. We’re still in touch and on (I think) good terms. It’s not easy being a stringer in Japan–he told me that as far as he could recollect, he probably earned about 200 euros for the article above. That’s not enough for serious journalism. So the moral of the story? Simple, really: if you think you can get the news for free on the Internet, think again. Mr McNeill, are you there? Mr McNeill?